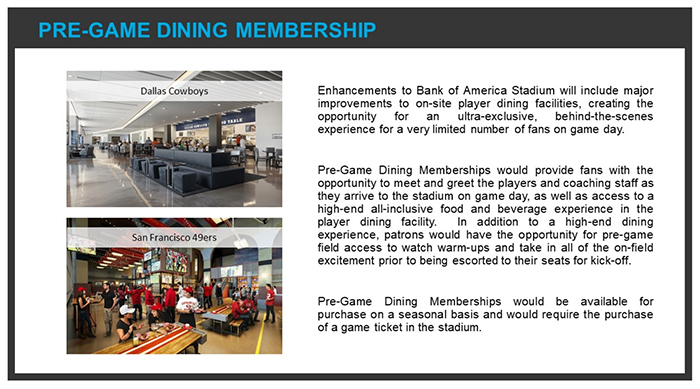 The Carolina Panthers organization just dropped a lengthy survey to a select group of fans, looking for feedback on potential enhancements to Bank of America Stadium. Here’s a look at what they’re evaluating. Hat tip to David Tepper on pulling a savvy marketing move, but I guess I should have expected this level of intelligence from a dude who’s earned over $10 billion. You can tell from his early actions that this guy wants to innovate, fast. I also love leaders that go directly to customers and ask simple questions about what they want and how much they’re willing to pay for it. 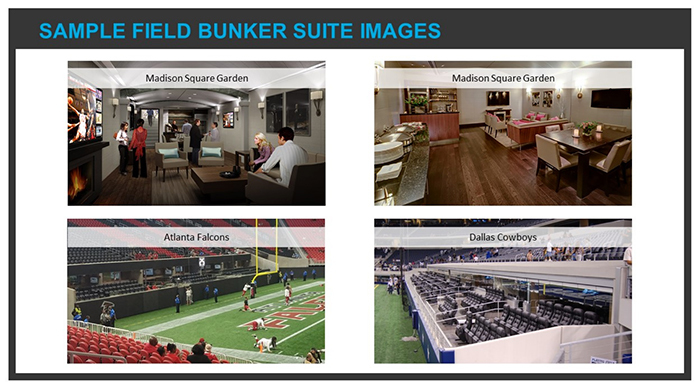 Potential enhancements: The Carolina Panthers are evaluating new owner’s club suites, field bunker suites, party decks, 4-person semi-private seating, field-level suites, pre-game dining membership, practice field tailgating and an exclusive members-only club named the Carolina Club that could feature a high-end restaurant and lounge. 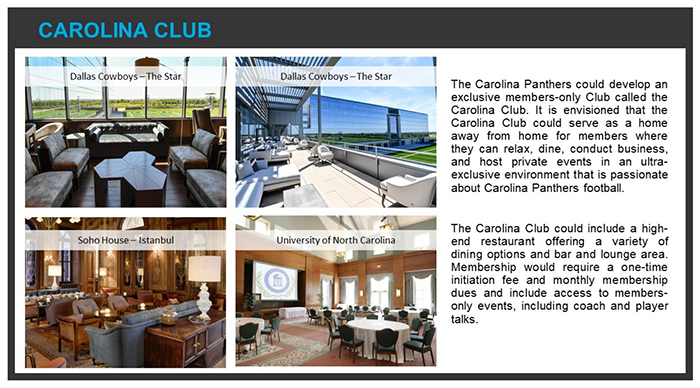 Side note: I’ve long argued that a Soho House would kill it in Charlotte, little did I know that the Panthers may actually be able to pull off a similar concept but branded as the Carolina Club. David, if you’re reading this, I expect a free Agenda company membership. 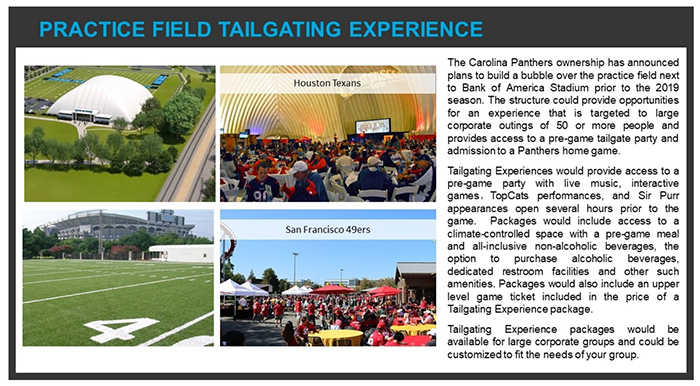 Context: Bank of America Stadium was built in 1996, a few years before these types of field-level amenities became popular. 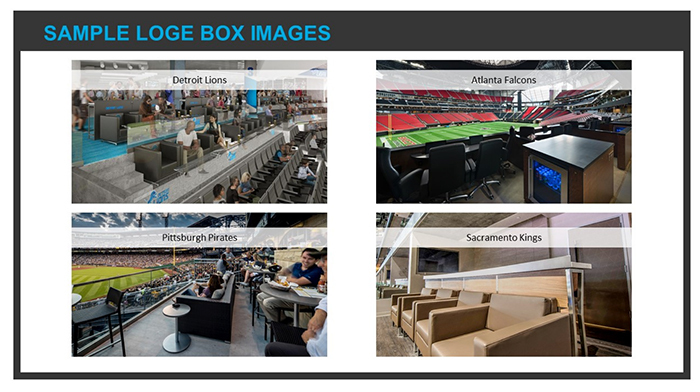 Today’s modern stadiums are packed with high-dollar options like these. 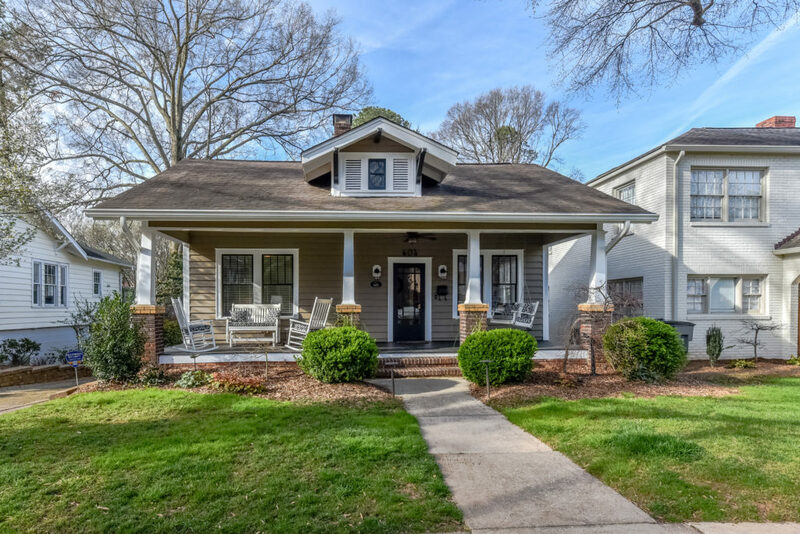 As the latest public financing deal to keep the Panthers in Charlotte expires, Tepper must decide what his next ask will be to the City Council. Does he want to ask for public funding for renovations? Or a brand new stadium? Perhaps this survey will help him make up his mind. 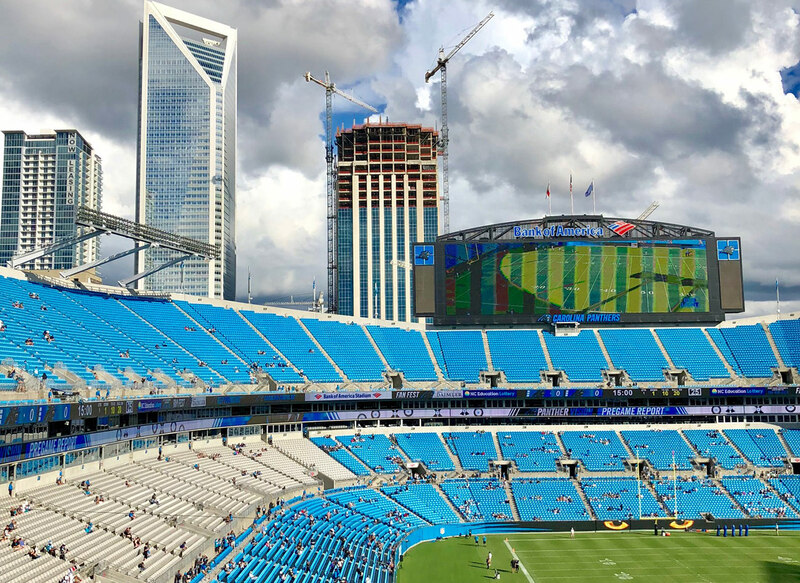 MLS too: In addition to Panther-related questions, the survey also asked a bunch of questions to gauge ticket demand for a potential MLS team at Bank of America Stadium. 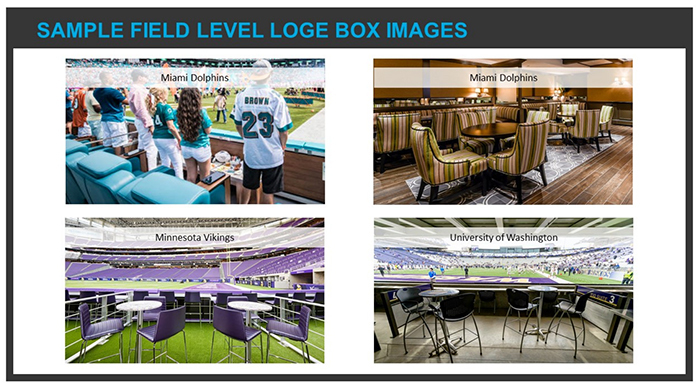 Survey: The survey presented example images of potential Bank of America enhancements, then asked how much the user would pay for each. 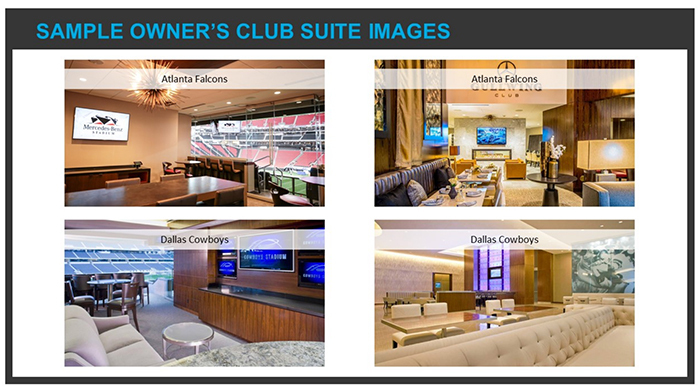 Here are a few screenshots from the survey so that you can better understand what the Carolina Panthers are evaluating. 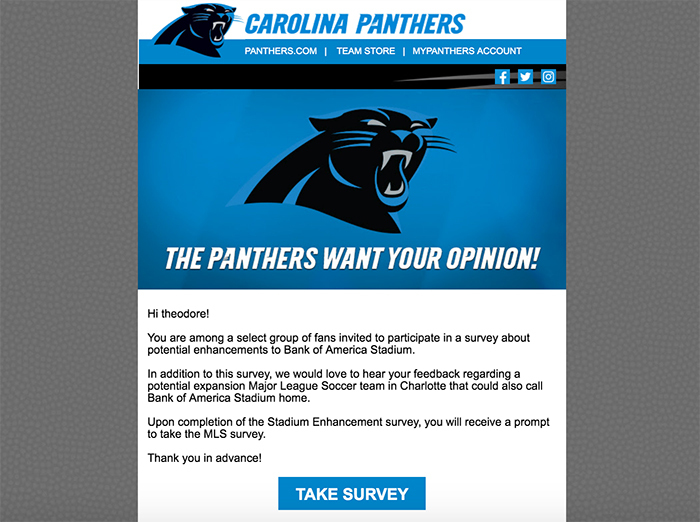 Note: I sent the Carolina Panthers a request for comment, but they haven’t emailed me back yet.